Product-market fit is a key stage in the digital product development process. Continuing the spirit of constant experimentation and validation, this stage is about fine-tuning your product to appeal more directly to identified market needs. It requires close communication with both the client and the target users. Analyzing 101 startup failures, CB Insights discovered that the most common reason for businesses falling by the wayside was that there was, “no market need” for the product they were developing. That’s a lot of startups working hard for a lot of months for nothing. Which is one of the many reasons we at Boldare use a combination of the scrum framework and the lean startup approach to building products. 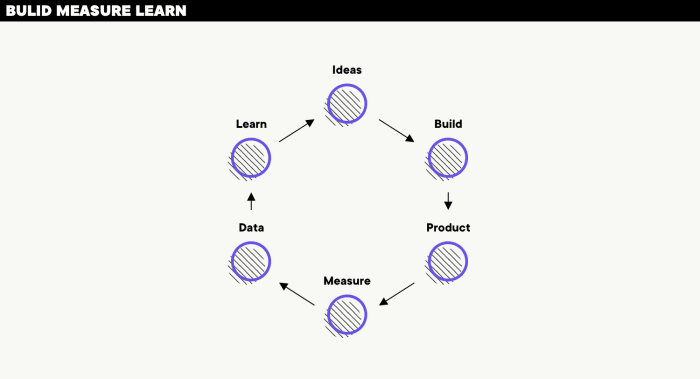 The short design sprints and the build-measure-learn cycle mean that new iterations of a product are built and tested frequently with users. The incremental approach, with constant evaluation and validation, keeps the development on track and focused on building a quality product that actually responds to market needs. Whether we’re with you from the very beginning of your product journey or you’re coming to us because it’s time to take your precious to market, we combine market analysis with agile development processes to fine-tune your product until it’s just what users are looking for. Arguably, product-market fit is the first point of real success in the product development process. Everything prior to this stage is about inspiration, experimentation, and hard work. Once you have product-market fit, you know that you have something with value outside of your project, a product that is appreciated and desirable in the ‘real world’. But what is it? This means that your product meets real customer needs and does so in a way that is better than the alternatives. As a term, ‘product-market fit’ was first coined in 2007 by World Wide Web Hall of Famer, Marc Andreessen, who defined it as, “the only thing that matters,” for a startup. In fact, according to Andreesen, until you have product-market fit, there’s no point tackling issues such as growth and scaling in your organization – it’s that crucial a milestone. How do you know when you have product-market fit? The exact metric or measure of success depends on your individual product-in-development and the market you’re pitching at. Part of the role of a Boldare product-market fit team is to help you define this criteria for your individual project. For example, your indicator of success for a new app might be an agreed threshold number of paying customers (who are not family, friends or otherwise your buddy). Why product-market fit is useful? 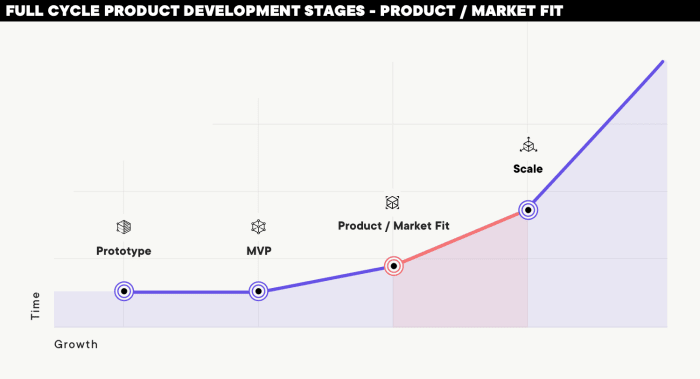 Once you’re focused on product-market fit, your product is in the fine-tuning stage. 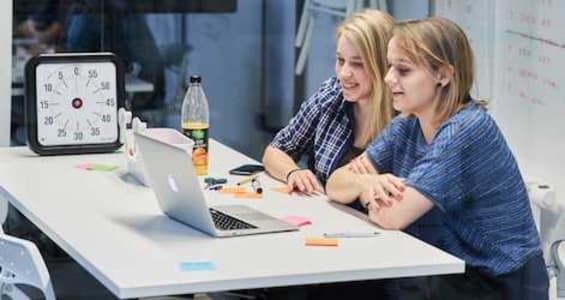 Prior to this, you’ve tested and approved your initial concept and product idea, you’ve created working models (minimum viable products, or MVPs) to test the key functionality and design with the target group of users, but you don’t have a final product yet. Your MVP might be useful, and even saleable, but it’s not the version that fulfils your original concept. Keeping the goal of product-market fit in mind, this is the time for fine-tuning: a rapid cycle of product iterations, honing individual features and testing them with users, then honing them further with the aim of producing something that truly stands out from the competition or, if it’s a completely new concept and there is no real competition, something that blazes such a long trail that anybody following you will take a long time to catch up. What are the benefits of product-market fit? Pragmatic – This stage of the lean startup approach has a purely practical focus. To be fair, right from the start, the question of market and users is integral to the project, but it’s at this stage that you’re closing in on that particular target, making nuanced adjustments. Potential profit – Unless you’re a billionaire making digital applications purely for kicks, sooner or later you’ll want your product to start earning money. Product-market fit can be the difference between polite interest from your target market and rabid demand. Business sustainability – Once you have a product that the market wants, that is clearly going to help your business grow. Product sustainability – In a sense, market fit can lead to your product being quasi-independent of your business. Sufficient paying customers means that the product exists outside of your internal project team. Once it is out there and in use, its continued existence is no longer solely reliant on you; the product has a life of its own. Of course, if you don’t do it ‘right’ – i.e. fail to fit your product to the market – then once your budget/funding runs out, your business is unlikely to have a sufficient revenue stream to survive. You may have the illusion of some short-term success, but your customer base will not grow, your product will not be profitable, and you’ll be back to square one. Product basis – product vision workshops enable us to explore, understand and validate the product concept, resulting in a shared understanding of the product vision. General UI/UX prototyping – we develop a user interface (UI) concept (often in the form of a clickable wireframe prototype), followed by the graphic design of the product (using mood boards to test options). Wireframes are used to explore different UI ideas and lay out the basic structure of the product architecture. Minimum viable product – A stripped-down version of the product, with real, usable functionality, is used to further test the product and guide its development. Product-market fit – repeated iterations are tested and the results analyzed to achieve a perfect fit for the market. 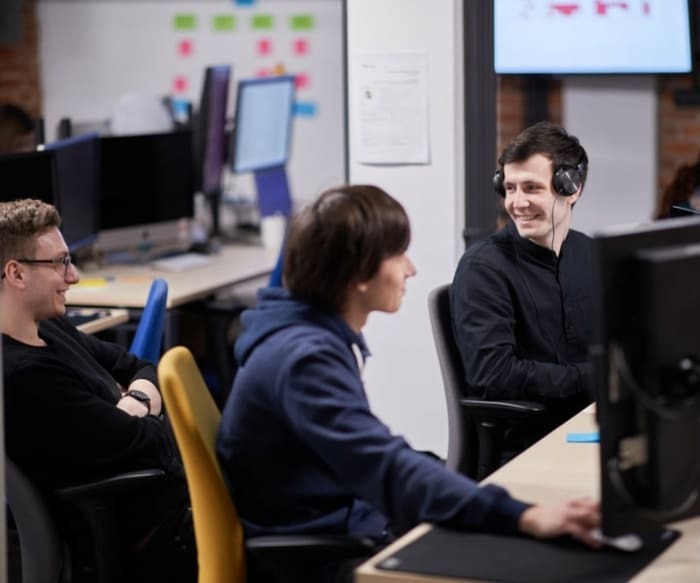 As with the other stages of the development cycle, during the product-market fit process, it is important to us to work collaboratively with you, the client. 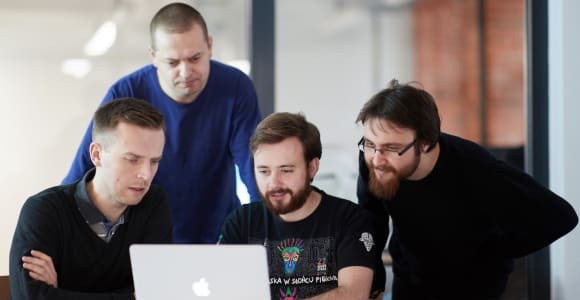 We apply our expertise and experience but we do so openly and in constant communication with the client via the development team’s Product Owner (a role filled by a representative of the client company). What’s more, we see our role as including passing on our knowledge (of the relevant processes, techniques, etc.) to your people. This enables you to take on a development role in-house and puts the project in the context of your overall digital transformation journey.